When we create a new character, we put a lot of thought into the process. Some parts usually get more attention: Species, gender, department. Cosmetic details might be given a lot of thought, even if they have little effect on simming outcomes – the fact that the character has brown eyes helps paint a picture, but probably won’t be helping the crew survive on a barren planet in an ion storm. Yet one thing that seems mostly random is birthdates, even when there’s a whole industry – astrology – currently built around deciphering what someone’s birthdate means to their personality. There’s even some science behind it: People born in summer are more prone to mood swings! So how did you pick your character’s birth date, and does it have meaning to you? Join us on the forums and let us know! This is a new post in our category Simming Questions. Here we will be asking questions about our community, our characters and our writing, and how you interact with it all. John Valdivia is a Terran from New Berlin, Luna. 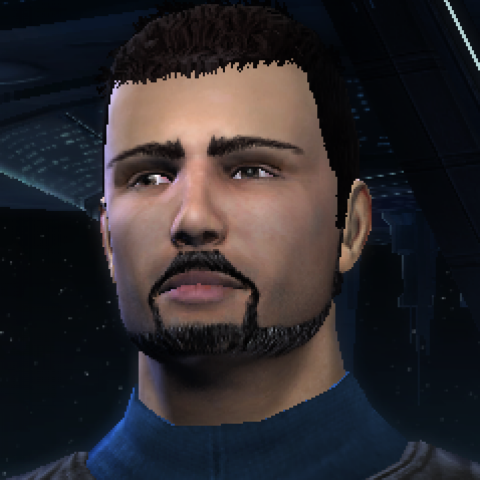 After some years of service on the USS Discovery-C and a short break from Starfleet, he is currently the Chief Science Officer of the USS Darwin-A. Poll of the Week: Which Series Was Your First?